Vaporizer manufacturer Davinci originally launched itself onto the dry-herb vaporizer market with the Davinci IQ, a well-designed and easy to use portable vaporizer that has come to be considered one of the best portable options on the market. However, Davinci has kept innovating and as of this summer has released a redesigned and even simpler portable vaporizer: The Davinci MIQRO. The MIQRO and IQ both utilize a heated chamber to vaporize plant matter, which is fairly standard with portable loose-leaf vapes. However, where Davinci defines itself is simplicity. 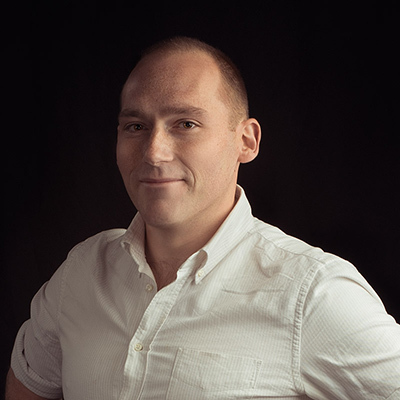 The MIQRO, just like the IQ, uses “Smart Path” heating technology, which simplifies temperature control into several tiers that slowly increase the temperature as you inhale from several different starting and ending points. It results in maximum extraction of cannabinoids and terpenes with minimum effort. Smart Path vaping is truly where Davinci defines itself, allowing users the best experience without requiring encyclopedic knowledge of vaporizer temperatures. We received an “Explorer’s Collection” edition of the Davinci MIQRO that comes with a wide variety of accessories and enhancements. 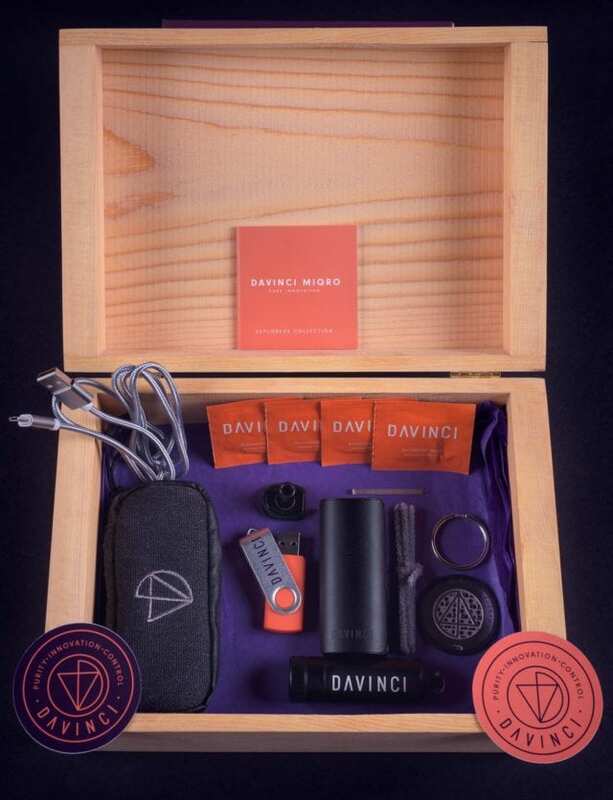 Several stickers and fan gear including a Davinci-branded thumb drive, a micro grinder card, dry herb capsule, carrying case and cleaning supplies all shipped in an awesome wooden box that would be great to hold your cannabis supplies. Certainly the swag that comes with the Explorer’s Collection makes the additional cost worth it. The MIQRO’s improvements over the IQ start with the size but don’t end there. The MIQRO has had its attached herb chamber tamper, which Davinci calls a “pearl,” redesigned. The pearl allows the user to adjust the volume of the vape chamber so that different amounts of cannabis can be consumed while still being correctly heated. On the IQ the pearl is nearly spherical and is not as firmly attached as it could be. The redesign for the MIQRO has changed the shape to fit more carefully into the chamber and feels more firmly attached. We enjoyed extending the pearl to allow us to take smaller doses of cannabis. Also redesigned in the MIQRO is the removable and replaceable air path. Now made from Zirconium, it is noticeably easier to clean than the IQ. We had some difficulty removing gunk from some parts of the IQ, which has yet to occur with the MIQRO. The air path itself is also much smaller and built as a straight-edged line, also making it easier to clean. The only downside for us was the battery life. The package we received, which will be priced at $199, included a second battery that helps limit this issue but we still noticed a lack of power on big draws. We estimate perhaps 5-10 five minute vape sessions per battery. That said, considering the size vs. the IQ, it is a minor issue. Overall, the MIQRO is a solid buy: the unit-only is expected to retail for $149 and the “Explorer’s” package, which is pictured in this article and was reviewed by us, will retail for $199. As far as sub-$200 portable vaporizers go, it’s difficult to beat the MIQRO. The reduced size and weight, improved “Pearl” tamper, Zirconium air path, as well as low cost make it worth trying out even if you own the Davinci IQ.